Write in the item description, the amount you'd like to charge per item, and the max amount of items a registrant can purchase. Add an image by using the "Select Image". Make sure you click "Save" once you've added an item. To add another, just select the "Add Item" button that appears below your existing swag items. 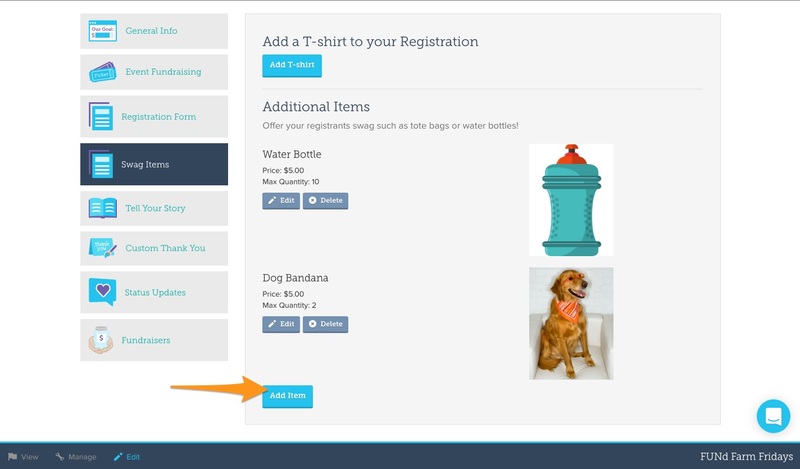 Once you've added swag items, your participants will see them on Step 2 of their registration form after they have selected their Event Registration type.